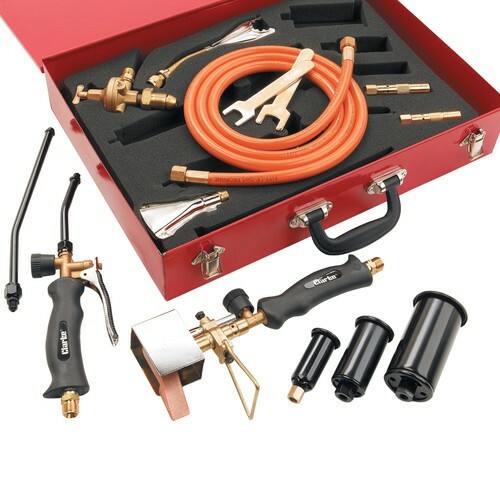 A comprehensive LPG torch kit capable of dealing with a wide range of heating, brazing, burning and soldering jobs using propane gas. Gas torch with level / rotary twin action control valve & choice of 2 necks. Soldering iron with solid copper mallet, windshield & stand. 2 metre rubber hose with 3/8" (LH) connectors. All supplied in a strong steel carry case.